Easy one-push posting to privately share your lives in photos and content with those who matter most. "Thank you for the flowers." Be there when you can’t be. Our courteous personal assistants are on top of it 24/7 for acts of thoughtfulness large and small. Secure their ride for that next appointment or dinner with friends. Keep up with Dad by monitoring his steps, activity, and health. "You wouldn’t believe the day I had!" Share and receive current locations privately. "I love that we’re all together." The first private app that does everything to deepen connections and share the joy of family. Share news, photos, memories and inspirations that you want to keep between only your family and closest friends (not with your 450 contacts on other public social media sites). 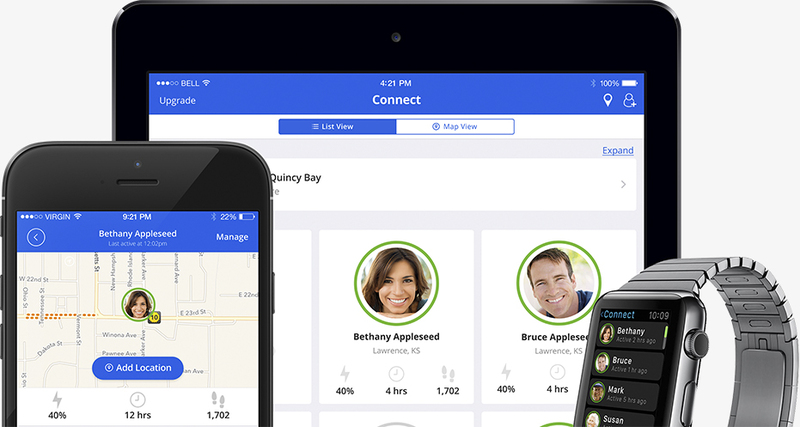 Connect your parents with their grandkids via an easy to use, intuitive private network. Get updates on the location of family members included automated alerts for locations that you set. Learn when your daughter gets home from school or your mother arrived at her doctor's appointment. Now you can request, schedule, track and pay for Family Rides for your loved ones, even if they don't have a smart phone. When you are too busy to drive, your parents and kids can still get where they need to go. (Requires payment by credit card). Users who upgrade to Home Connect service can access a team of personal assistants 24 hours a day, seven days a week, 365 days a year. Our concierge service can help to organize appointments and transportation, find and purchase gifts and even plan that family vacation! and Android devices so your entire family can stay connected.